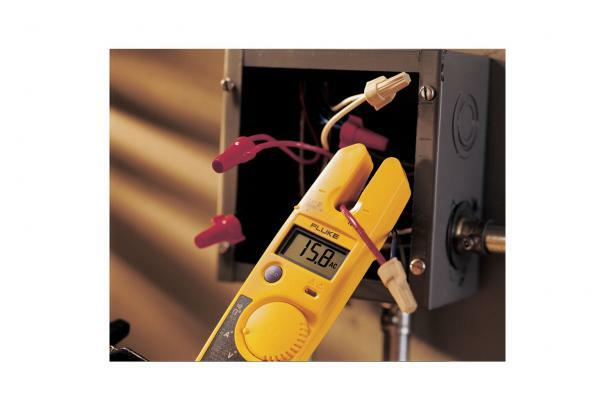 The T5-1000 Voltage Continuity and Current Tester is a versatile troubleshooting tool to carry to every job site. 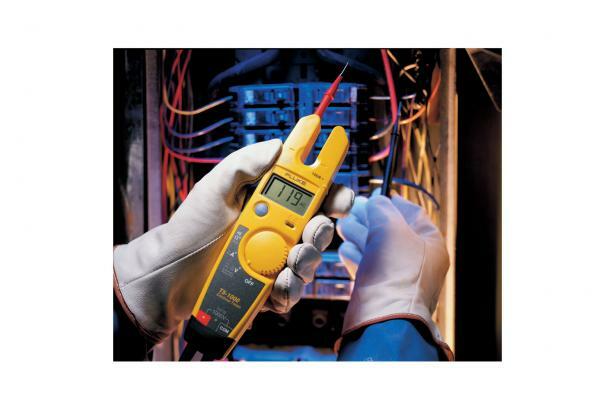 Use it to check voltage, continuity, and current with one compact tool. 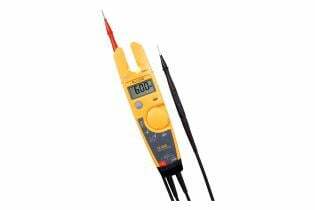 Just select volts, ohms, or current and the tester does the rest. 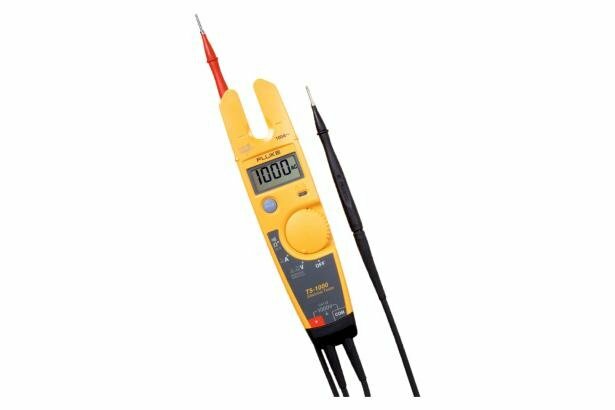 Its OpenJaw™ current measurement lets you check current up to 100 A without breaking the circuit. Detachable SlimReach™ test probes are customized for national electrical standards. 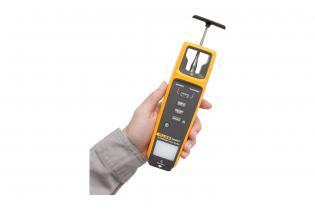 Plus, its tough test leads accept optional accessories such as clips and specialty probes. 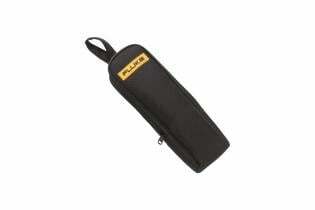 The test leads stow neatly in the back of the tester, making it easy to carry in your tool pouch. Add the optional H5 holster and you can clip the T5-1000 onto your belt. 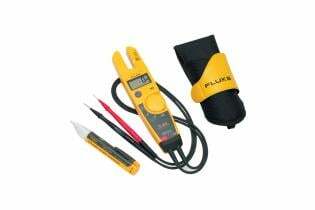 For lower voltage applications check out the Fluke T5-600.